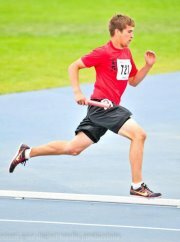 The Wolves Athletics Club will being hosting three track meets in Grande Prairie in May and June. The annual Peace Country Classic/Grande Prairie Hershey Meet goes Saturday, May 10, while the NW Zone AB Summer Games Trials is slated for Saturday, May 24. On June 21, the GP Mini Meet hits the track. This entry was posted in Outdoor Track and Field and tagged Alberta Summer Games, Athletics Alberta, Grande Prairie, Hershey Track and Field, Peace Country Classic, Track and Field, Wolves Athletics Club. Bookmark the permalink.